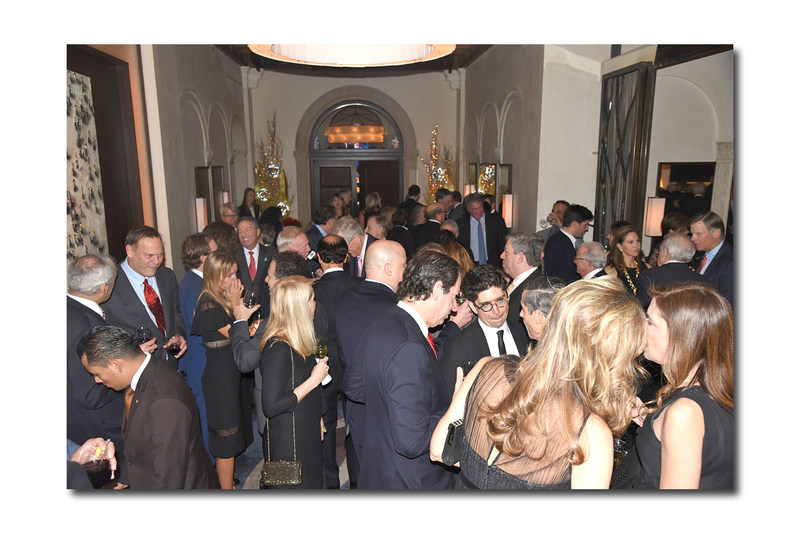 On Wednesday December 7, 2016 the Prostate Cancer Foundation (PCF) held its annual dinner at Daniel with cocktails beginning at 6:00 PM. 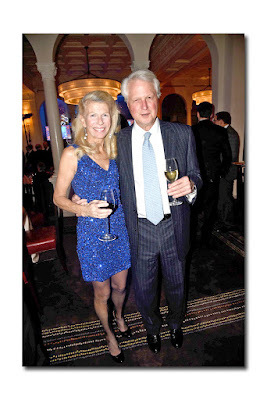 This was an intimate evening with 150 guests paying $10,000 each to help find a cure for prostate cancer; an effort spearheaded by Michael Milken. In the 1980's Milken was known as the junk bond king and his legendary status was sealed by his astronomical returns - he had only four down months in 17 years. After being diagnosed with an advanced stage of prostate cancer in 1993 and being given a prognosis of 12 to 18 months to live Milken started PCF. & Since Milken entered the arena there has been a reduction in prostate cancer deaths by more than 50% and more than 1.4 million men are alive because of the approval of 6 drugs that Milken's researchers discovered. Milken has been a mentor to many of the current Wall Street moguls therefore, when he organizes a dinner a large group from the financial world attend. Michael, who is 70, looks younger and more vibrant each time I see him and tonight he was at his peak with a beautiful black suit and a broad, friendly smile. Many of his billionaire friends attended including businessmen: David Koch, Neil Rodin, Robert Taubman, Thomas Lee, Jim Coleman, Jerry Jones, Leon Black, and so many others. 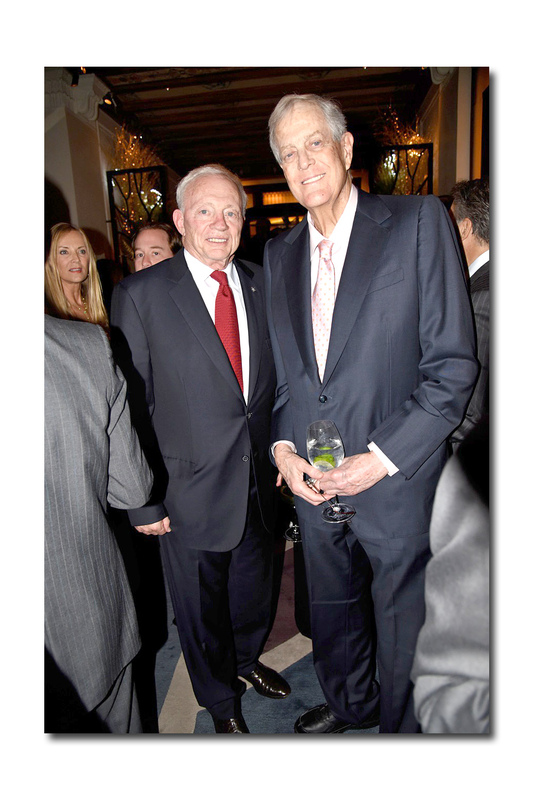 David Koch, who is a prostate cancer survivor, attends most PCF events and tonight was discussing Trump's landslide win of 306 electoral votes. 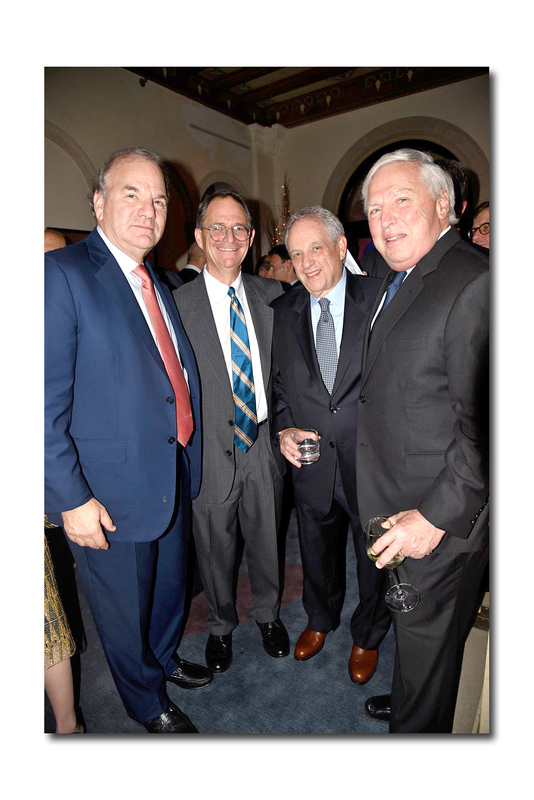 Another mogul with Trump on his mind, was Real Estate expert Jim Coleman who had breakfast with Trump earlier in the day and had the opportunity to meet his new Treasury secretary Steven Mnuchin. At 7:00 PM the crowd headed to the main dining room for a scrumptious dinner at two-star Michelin rated Daniel. Milken started the evening by giving the crowd a quiz and this time the question was: Which celebrity does not appear on the cover of the Beatles Sgt. Pepper album? Nobody in the crowd knew the correct answer, which was Gandhi, and Milken promised to give the crowd some nutritional questions since they were unprepared for music. The next question concerned brussel sprouts and I learned a lot about this often forgotten vegetable; namely, it can increase male virility-a definite plus at a prostate cancer event. 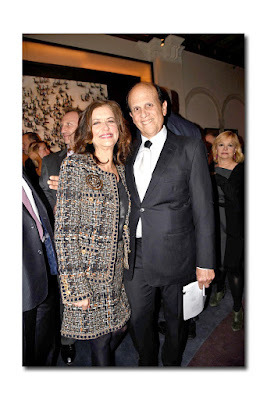 Milken then went on to discuss the momentousness of December 7th as it is the 75th anniversary of Pearl Harbor. In honor of the veterans, he announced that a groundbreaking alliance between PCF and the Veteran's Administration was in the works with the Veteran's Administration promising to match $1 billion to $50 million raised by PCF which would be allocated towards giving veterans equal or better medical treatment by putting those who served our country in the front lines at the front of the line. Milken also noted they would utilize this money to study why African Americans are 2.4 times more likely to die from prostate cancer. 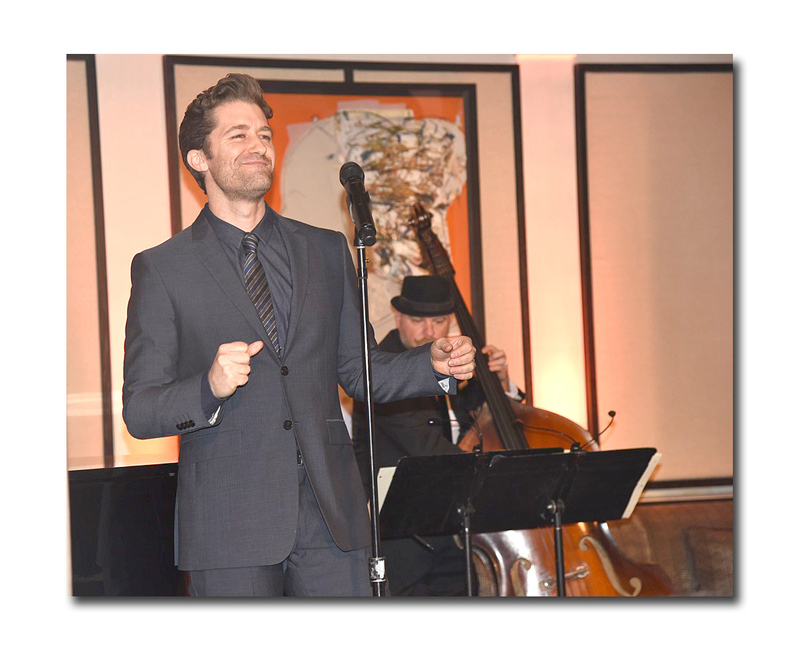 After all this heady conversation the attendees were served savory food, and treated to the music of Matthew Morrison. Matthew saw he was playing to a group that was used to being entertained by superstars so he added some turns and splits to his singing routine-this crowd was hard to please. 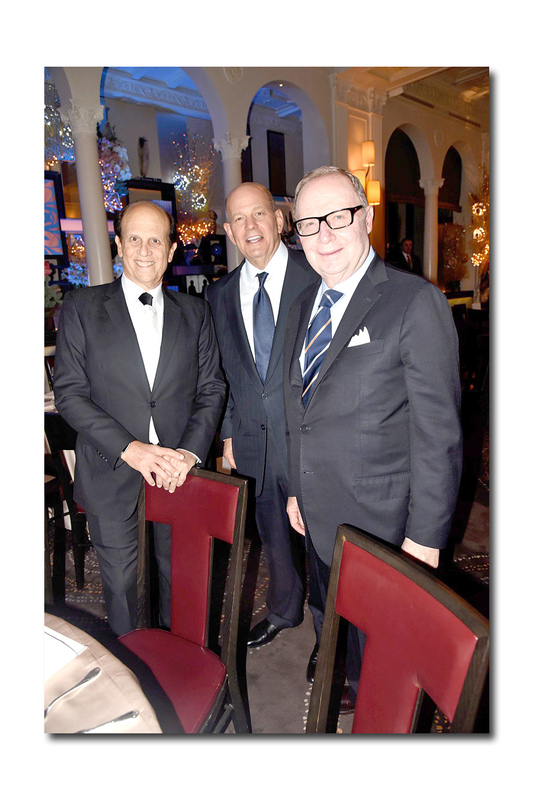 Later in the evening, Bernadette Peters wowed the audience and dancing and fundraising transpired -another home run hit for baseball fan Michael Milken.